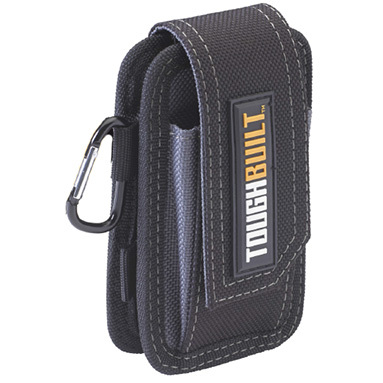 Toughbuilt smartphone holder pouch. Includes a carabiner. Stretches to securely hold most smart phones. With plastic-walled heavy-duty construction, this reliable pouch protects your smart phone in the most rigorous working conditions. Steel clasp attaches to any belt. Plastic-walled construction protects your smart phone.